I write regularly about topics related to electronic lab notebooks over on The electronic lab notebook blog. Nick thought it might be interesting for me to do an occasional post on electronic lab notebooks for Bitesize Bio, so here goes! I thought I’d start with a comparison of electronic lab notebooks with wikis and Google Docs. Why wikis and Google Docs? Because they’re both online tools used by lots of scientists to record and share data, so they’re reference points many people will be familiar with. Wikis are collaborative tools oriented around groups. 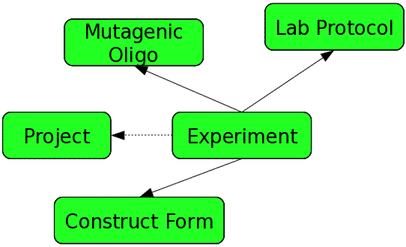 Many labs have adopted wikis to manage general information like meeting notes and protocols. Each member of the lab typically gets an account, which allows them to add information, view information added by others, and edit some but often not all pages on the wiki. The structure and organization of the wiki usually is determined by the administrator, and individual lab members just work within that structure; they have no ability to influence it or change it. Wikis contain features that can be useful for labs doing scientific research like an audit trail of all entries made showing who made the entry and when. But most wikis lack other features that would be useful for groups conducting research like a messaging capability. The most important limitation of wikis as far as scientific research is concerned is that they only offer the wiki page for recording data. So it’s not possible to put any structure into the research record with a wiki. That goes a long way to explaining why people in labs that have adopted wikis still use their paper lab books for recording experimental data. Google Docs is a collaborative tool oriented around individuals. Unlike the wiki, which presents itself as a complete online working environment, Google Docs consists of a series of discrete items – documents, spreadsheets, presentations, etc., which are created or imported by individuals. The collaborative aspect of Google Docs arises because individuals can share selected items with others, allowing others to view or edit the items. Google Docs does not offer an audit trail of entries, nor does it have a messaging capability. Moreover, it shares wikis’ limitation of not providing the ability to put structure into the research record. 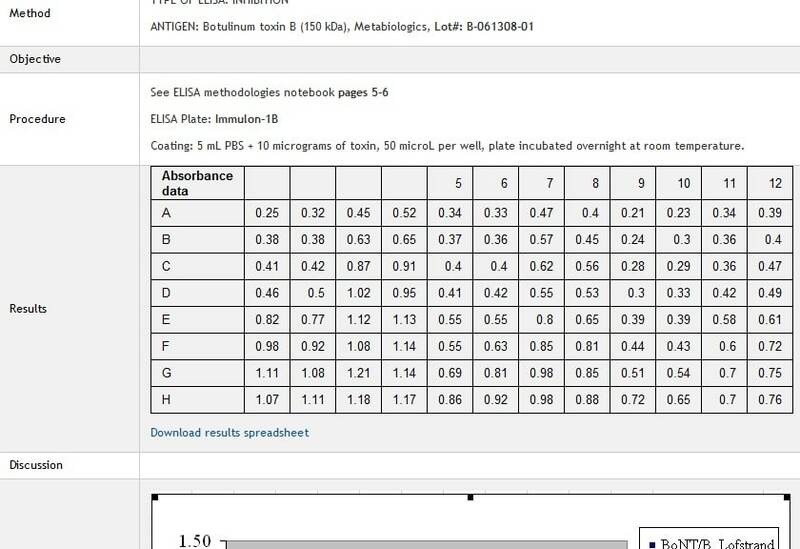 With Google Docs you get documents and spreadsheets, but not the ability to create a structured record of your experimental data as you do in a paper labbook. Like wikis, Google Docs has not become a replacement for the paper labbook. Like wikis and Google Docs, electronic lab notebooks are collaborative tools and increasingly delivered online. Like wikis, they present themselves to users as integrated working environments. They contain features useful for scientific research like an audit trail. And some electronic lab notebooks have ‘social’ features such as messaging. 1. They are oriented towards both the individual and the group. Electronic lab notebooks, like wikis, present themselves to users as integrated environments where groups can collaborate. In fact they possess superior collaborative features like the ability to set up groups. But unlike wikis, they enable much greater input and control by individuals, in two important respects. First, individuals have the ability to create records with the structure the individual user wants, and second, each individual has their own private space, where the records they create are completely under their own control; they can be kept private unless and until the individual decides to share them with others. Electronic lab notebooks also enable creation of records with structure. For example, the record below is divided into a number of fields: method, objective, results, etc. It is structured like an experiment set out in a typical paper labbook. But because it’s online the structure is much more useful in locating your data. For example, you can search on all the ‘method’ fields in the electronic lab notebook which contain the term ‘Elisa’. That might not be that helpful for an experiment you did last week where it’s fresh in your mind, but it could be very useful if you’re trying to find specific bits of data in some experiments you did last semester or last year. In addition, in an you ELN can create as many different structures as you like. Here is an antibody record, for example, with a different set of fields from the experiment record shown above. 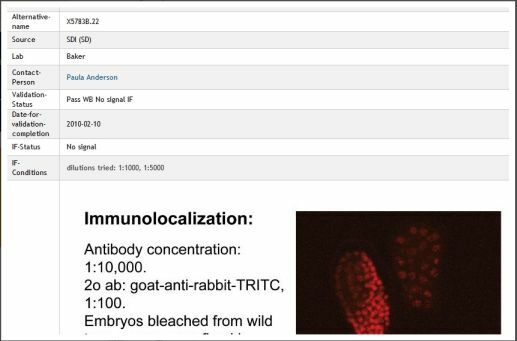 Electronic lab notebooks also make it possible to build in a second level of structure through the ability to create links between records, for example between a record of an experiment and a record of an antibody used in the experiment. Links are useful at this one-to-one level. In addition, by creating a series of links it is also possible to build databases, as reflected in the visualization below of a series of linked records. This ability to use electronic lab notebooks to build structure into the research record means that, with electronic lab notebooks, unlike wikis and Google Docs, labs can deal with their experimental data in the same online environment in which they manage other information such as protocols and meeting notes. This allows labs, for the first, time, to dispense with paper lab notebooks and to use electronic lab notebooks as a single, integrated online environment for collaborating and communicating about their research. Do you use Google Docs, Wikis or Electronic Lab Notebooks in your lab? I’ve been an avid user of labfolder (https://www.labfolder.com). It’s really simple to use and does pretty much what you’d expect from a digital notebook for the lab. We spent two years developing a modern electronic lab notebook called NoteHub (https://www.thenotehub.com), and are now in our third year of business. We hope you’ll enjoy learning about it. You cannot ignore this ELN, chemistry and biology – OLN. OLN is completely web-based, supporting all platforms including Windows, Mac, Linux, iPhone/iPad, Android tablets and phones. A great Online Electronic Lab Notebook for life-science. It’s totally free, very intuitive, very powerfull. Allows to add any file you want, and see it in the notebook and can edit it from your PC ot Mac directly to the server. and ability to share experiments / protocols / projects with coleagues. And even the NIH is now officially checking it. You may be interested in visiting this free ELN. I may release the full version as open source if there is a significant interest. Very good research liked it a lot there are always something missing when it comes to wiki or Google Docs. So u can say that ELN is a thing which you require most for your research work. I used eNovator for my research work & found it very good Electronic Lab Notebook hope other researchers will like it too. It’s always interesting to hear what folks in the field are using to manage their scientific data, whether it’s a desktop solution like Microsoft OneNote, Microsoft Office (Word, Excel, etc. ), an ELN (like Agilent’s ELN or the Recentris CERF ELN), or a web-based collaborative solution like Google Docs or Wikis. A couple of the above commentators, including Combo, mentioned their concern about security and intellectual property protection. It’s a significant issue in bio-pharma and life sciences organizations because intellectual property represents the lifeblood of the organization. On our own blog, we raised the question whether a full-blown ELN was right for **every** organization: http://goo.gl/iS7d9. The answer is that every organization is different. For larger bio-pharma organizations, a powerful ELN offers benefits that are hard to match. For small to mid-sized organizations, an ELN may be overkill, and combination of existing solutions (like OneNote or Microsoft Office), combined with a security solution may be all that you need. In the end, what is needed in every instance, regardless of size, is an easy-non-intrusive way for scientists to capture, store, manage and protect their scientific intellectual property. Electronic records – including their metadata – can be easily tampered with (both maliciously and inadvertently), and without unimpeachable proof, intellectual property ownership is far from secure. One way we’re seeing organizations address this problem is by using an informatics system (which include a wide variety of solutions, as we’ve already seen from the comments on this thread) and integrating digital, trusted timestamping into the process. This builds in legal defensibility and long-term protection into the scientific data and notes, and also reduces the “signing and witnessing” processes that are required of paper-based systems, but aren’t addressed yet by most informatics solutions. My company, Surety (http://www.surety.com)provides independent time stamping solutions like this (I say independent because you don’t HAVE to trust us due to a patented technique we use called “hash-chain linking” and what we call a “widely witnessed process” – both are described here: http://goo.gl/RQdao), and one of the most significant reasons I’ve seen bio organizations integrate digital timestamps into their workflows (or using a desktop digital timestamping solution) is the longevity of the timestamps themselves. Good examples that you should look at on how bio and pharma organizations are doing this include pharma company Ansaris http://goo.gl/d3hb3; the Joint Bio-Energy Institute http://goo.gl/Hza3v; and Ferring Pharmaceuticals http://goo.gl/Xnb9p. If you’re looking for additional background / resources onthis, check out this white paper: http://goo.gl/akS0T and there’s also a playback of a webinar I just spoke at for PharmaceuticalTechnology on this same topic: http://goo.gl/RnBB9. Thanks again to Combo for raising an important point about security and IP protection. I completely agree with you about not uploading things online. I know many universities actually have regulations against third-party storage for data, so that is also something to consider. As for my OneNote setup, I have a single notebook that I use for all my research (but you could just as easily have a notebook for each project or student). Then I have a section (at the top of the menu) for my To Do List, Literature (article summaries), Product Information, Protocols, and other lab specific items, for example, my strains/constructs which I’ve created. I then have separate sections for each of my projects (currently 3). Within each section, I start new pages for each experiment (or literature category, company, protocol, etc.) I am doing, but this can vary depending on the logical breakup of your specific projects. I usually only include my objective, tentative experimental design, and any other general thoughts. I then use sub-pages that I group together under a given page for my specific daily tasks, like cloning a gene via PCR, digestions, ligations, transformations, etc. ; all of those details will go on a single sub-page. Many assays take several days to finish, so I make sure to do each sub-page in chronological order. I then paste in my tables, figures, etc. to keep the details in OneNote. But I use the smallest image resolutions, etc. to keep my notebook from getting too big. For example, if you’re pasting in tif files from microscopy or gel images, be prepared for your notebook to get huge very quickly! This brings me back to my point from a couple days ago, about organizing your files/folders. I create spreadsheets, etc. as I design each experiment/assay, and I always date them “year:month:day description” (for example, “20101111 PCR outline try1”). I then put the files in a folder with a description that matches the description I use on the sub-page in OneNote. This way, I can easily find the files that correspond to my OneNote entries once I know the date, project, etc. I can usually find old files, like some of my graduate work from 5 years ago, within a minute of finding the section in OneNote; for that, the built in search works fairly well. This method of organization has worked well for me, but like any notebook, I’m always trying to find ways to improve my methods to save me time/effort. It takes a little while to fine-tune things to your needs, but it has been well-worth the trouble for me and the people who I have introduced to OneNote. I hope that helps. If you have any more questions, please let me know. Hi Joe I’m thinking of trying OneNote; could you perhaps share with us how you like to organize your files/folders? That would be very much appreciated, thanks. I like the idea of an ELN and have already switched to electronic approaches for other things (like reading papers on an Ipad). However, I’m very weary of any kind of ELN which is web-based. For example, I have a couple of excel files for a microarray analysis which cost $25,000+, and another file containing results for ChIP-Seq analysis (also cost $20k-$30k). There is no way that I, or my supervisor, would contemplate uploading these things onto a web-based ELN, no matter how great their claims of security/encryption. In fact our lab is in such a competitive field that we would be very uncertain even about uploading meta-data alluding to what kinds of experiments we’re doing. Offline ELNs on the other hand might give us the kind of confidence in security/privacy that we need. I have been using OneNote for nearly 7 years now with great success. Upwards of 20 of my labmates have elected to use the program for their notebook once I showed them how I organized my files/folders, etc. Although I haven’t tried it yet, I know that the newer versions allow you to share notebooks among users and that it will track changes, etc. I saw a demo of the sharing by some Microsoft employees a couple years back and it definitely looked promising. Regardless of what program you choose, the important thing to remember is that you need to organize your files/folders and thoughts so that someone, including yourself, could reproduce your experiments from your notes alone. This also means you need a system in place for archiving your data, as this site has discussed in the past. Rory, what an informative article about ELNs in comparison to wikis and Google docs. We at BioKM agree that ELN-like programs in the lab are becoming more and more popular. Our program, BioKM is an online laboratory management tool that allows a scientist to plan, execute and monitor progress and research data. As you have discussed, at the laboratory level, this set of tools that BioKM provides, when used by more than one researcher, improves communication, accelerates research progress and cuts down on laboratory expenses. Lawrence, feel free to try out BioKM (http://www.biodata.com) and let us know what you think. BioKM offers a free account where a researcher can manage up to 3 projects. Our goal is to help researchers manage their data, so we specifically aim to keep all our academic plans inexpensive and affordable. Thanks for your comments! Picking up on Chen’s point, the term ‘electronic lab notebook’ means different things to different people. At one end of the spectrum is a simple note taking device — it sounds as if Chen is happy with that, and he has given you some ideas on how to use Word as an ELN. An application that quite a lot of people, including scientists, use for note taking is Evernote. At the other end of the spectrum are things which let you put structure into the record you keep of your research. There is a brief video here, where Andreas Johansson, a graduate student at Lund University, talks about why he finds the ability to put structure into his research records with an ELN useful. There is a blog post here (with lots of comments) where people describe what they are looking for in an ELN — again it’s striking how diverse the requirement sets are — and also give examples of things they have tried. So that might give you some useful ideas. Well, I have been missing here two major options that many grads can use without to much complication/$$$ at stake. These are MS office applications OneNote and…word. As for OneNote, there is a lab I am familiar with that utilizes this application as their ELN and they are more or less OK with it. They sync their notes and share it among themselves (the only bitching I was hearing were in regard to the not-too-flexible editing options in OneNote). I am using word as my ELN – I’ve created a template with predetermined fields arranged in a table – each time im logging an experiment I am opening a “new” table. I am using one document/month with a Table of Content listing at the front page. Every end of the month I update the TOC and then print to PDF for archive purposes and also for hard copy printing as my PI demands. This article is actually a good reminder that I’ve been wanting to try out ELNs. Do you have any suggestions for good ones to try? I realize you’re associated with one (eCAT? ), but are there others that you’ve tried that are good (even if they don’t quite measure up to yours)? I doubt I’ll be able to convince my PI that we need ELNs, but I’m certainly considering buying/licensing one for myself, as it would hopefully help me with organizing my notes/protocols/results in a more useful way.